Aspose.Cells for Cloud is a REST API that helps you create, manipulate and convert spreadsheets in the cloud. Developers can convert Excel XLS and XLSX spreadsheets to different formats like PDF, HTML, ODS, XPS, CSV, TIFF and others. Aspose.Cells for Cloud gives you complete control over spreadsheets and the data in them. It helps you create formulas and make sophisticated calculations based on user input or external data sources. Use it to work with individual cells in a spreadsheet or add comments; apply validation rules, hyperlinks and pictures to cells. Also work with all aspects of spreadsheets: worksheets, rows, columns, cells, text, data, images, links, comments, charts and many more. Aspose.Cells for Cloud puts these features at your fingertips, through a cloud-based API. 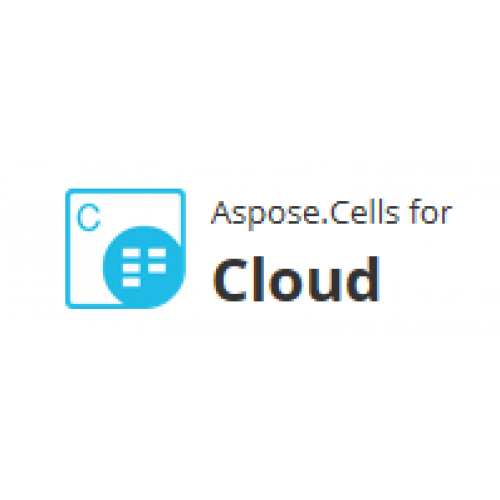 It is easy to get started with Aspose.Cells for Cloud and there is nothing to install. Simply create an account at Aspose Cloud and get your application information (app key and SID). Then go ahead and use the Aspose.Cells for Cloud REST API with any language - on any platform. Aspose.Cells for Cloud API supports rendering Excel spreadsheets to different image formats like JPG, BMP, GIF, PNG as well as converting spreadsheet graphs to images. This REST API can render individual worksheets to images with speed, accuracy and precision. Aspose.Cells for Cloud generates these images quickly with the use of simple API methods. Using Aspose.Cells for Cloud REST API - extract text, images, data and many other objects from Excel spreadsheets. Furthermore it allows you to get the formatting of the contents as well. This feature can be implemented by the simple interface exposed by REST API. Aspose.Cells for Cloud REST API allows you to manipulate spreadsheet data including text, numeric, or alphanumeric with the help of simple API methods. You can add, modify or remove data from cells along with adding and calculating formulas in a worksheet cell to get the resultant value. All of these worksheet operations can easily be performed with the help of simple REST API methods. Aspose.Cells for Cloud can be used with any language or platform which supports HTTP requests and responses. You can also use Aspose.Cells for Cloud with many third party storages including Amazon S3, Google Cloud, Google Drive and DropBox. 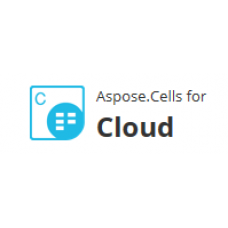 Aspose.Cells for Cloud REST APIs are built using managed code that do never need Microsoft Office or Microsoft Excel to be installed on the machine to work with Excel document formats. It is a perfect Microsoft Office automation alternative in terms of supported features, security, stability, scalability, speed and price. 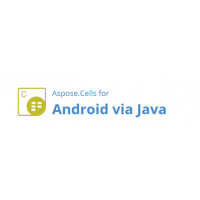 Efficiently read and write various Microsoft Excel file formats.Aspose.Cells for Android via Java is..